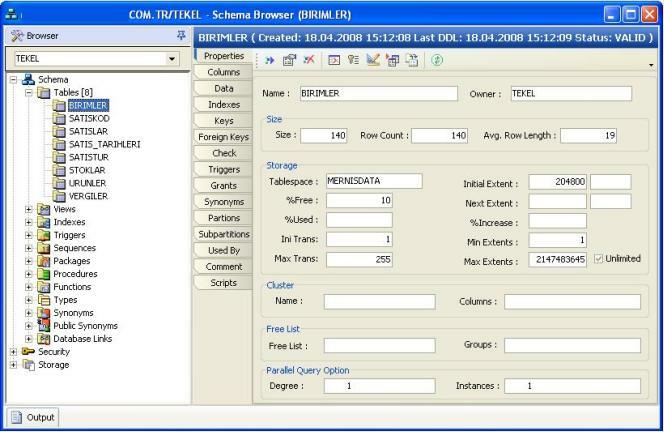 DBAExplorer allows you to access an Oracle database and perform any administrative task. 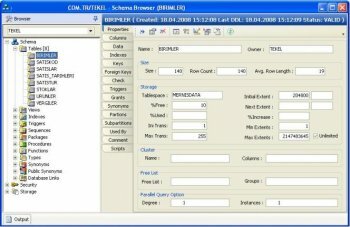 The tool was developed using Borland Delphi 7.0 programming environment which provides fast Access to the Oracle database. The code was developed after examining techniques to determine the fastest and the most effective ways of database Access to increase the overall performance of the system. As a consequence of this study, the most effective techniques and SQL statements are determined for better performance and put into action. Because of this program is 1.1 beta version, you must install Oracle Client (9i - 10g). This bug will be fixed in next release. I'm getting an error saying it can't find OCI.DLL, which I have in a directory that is in the system's PATH environment variable. I also tried copying the contents of that directory to the app directory, and it still couldn't find it?? ?